Every time he takes the stage, Chase Rice has only one goal in mind: to leave every person in the room feeling something different than they did when they walked in. His dedication to reaching each and every fan has led the energetic entertainer over thousands of miles on the road, and for the past 17 days, all the way around the world. 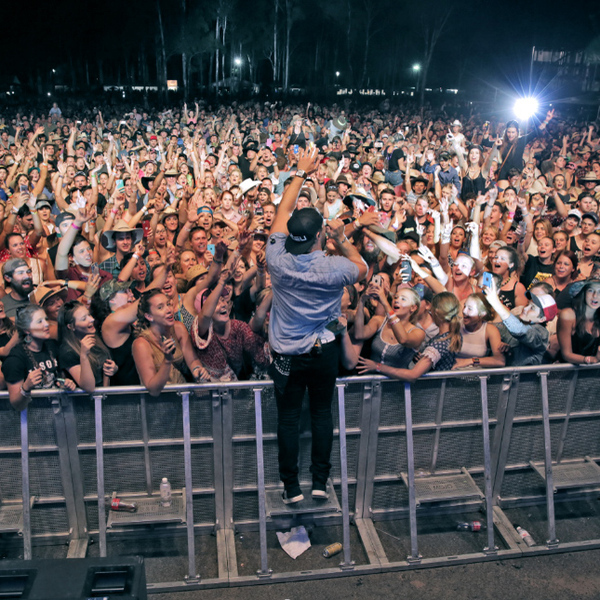 Starting with a sold-out debut show at The Republik in Hawaii, Rice made his way through four U.S. military bases in Japan performing for troops and completed his run at the sold-out CMC Rocks music festival in Australia, where his Ignite the Night album had just topped the ARIA Country Albums chart the week prior. Within a few short years of moving to Nashville, country music maverick Chase Rice has already built a loyal fan base across the country through his energetic live shows and gained the attention of industry professionals with his edgy, eclectic sound. Rice’s Ignite the Night was released on Columbia Nashville/Dack Janiels Records and debuted at No. 1 on Billboard’s Top Country Albums and No. 3 on the all-genre chart. That album produced a pair of Top 5 hits, the Platinum-certified "Ready Set Roll" and “Gonna Wanna Tonight.” His new single “Whisper,” from a forthcoming 2016 album, is available at digital retailers and country radio now. After supporting Kenny Chesney’s The Big Revival Tour 2015, Rice consistently sold out 2,500-3,000 seat venues on his JD and Jesus Tour and will launch his fourth headlining tour in April with Campus Events Network Presents College Days, Country Nights: The Chase Rice Back to College Tour. He is currently nominated for ACM New Male Vocalist of the Year.